The Club would like to express a sincere Thank You to all those kind and generous people who have taken in a rescue hound and helped the Club fulfill an important part of its mission. We hope that your kindness has been repaid many times over and that you will remain a part of the wolfhound community. 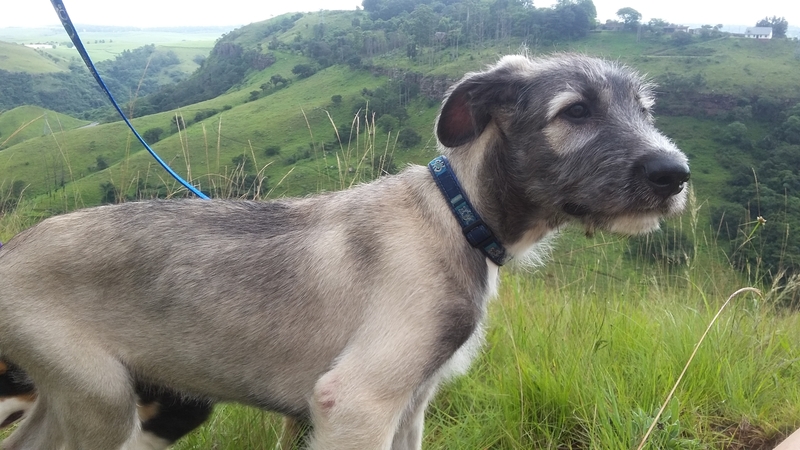 Please also be aware that, from time to time, third parties may claim to acting as the channel for wolfhound rescue in South Africa. The only conduit that the Club recognizes is that facilitated by Dawn Barnard whose contact details are given below. The Club does not endorse nor accept responsibility for any rescues facilitated by any other person. Our mandate is to protect and preserve the Irish Wolfhound. Dogs in need of rescue are relatively infrequent compared with many other breeds but the number has grown over the past year or two. If you ever see a wolfhound (or a dog that you think may be a wolfhound) in a shelter or at the SPCA, please contact us so that, if we are unaware of it we can make enquiries. Sometimes owners do have to make the tough decision to give up their hounds because of unforeseen changes in their circumstances. If you are faced with such a dilemma, it is always advisable to contact the breeder first, as a reputable breeder will either take the hound back or assist with rehoming. Alternatively, please contact us (details below) as we will provide you with support and non-judgmental help during this difficult time, and will do our utmost to find a new home for your hound. If you would consider adopting a rescue or rehome wolfhound please contact us. The best position we can hope to be in is to have more suitable homes available than hounds needing them. You will find a link to a questionnaire that will help us better match hound and home in the Rescue menu. Whether you would like to adopt an Irish Wolfhound or have the sad task of giving your beloved hound up for adoption, we are here to help you. Should you see or know of a wolfhound in need, please also contact us.